I was recently wandering around our local farmer's market/pumpkin patch and saw a big bin filled with dried gourds. 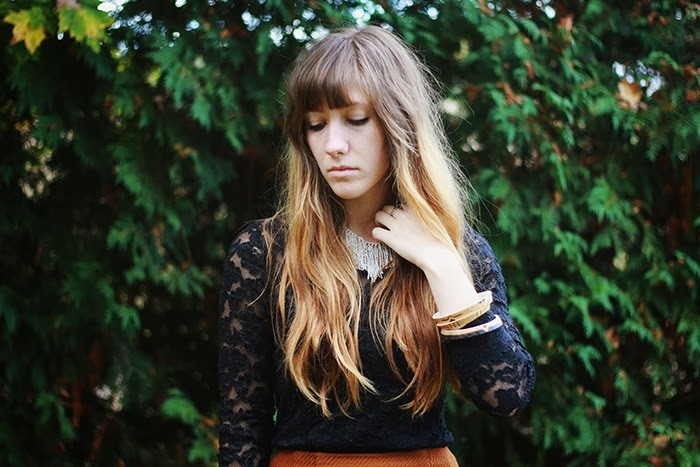 My head was spinning with all the DIY possibilities! I've been really into piling my arms full of bracelets lately and I thought a natural gourd bracelet would be a great addition. Plus it was a fun new challenge since I had never delved into the world of gourd crafting. 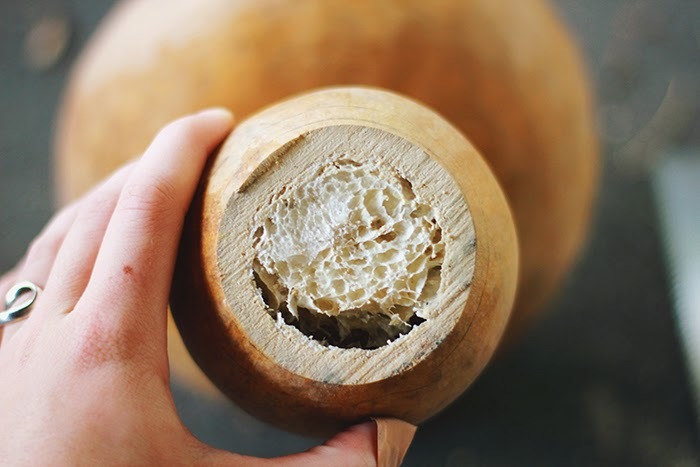 -If you can't find a pre-cleaned gourd, you will have to soak your gourd in water for 15-20 minutes and scrub off the dirt and dark mold with soap and a wire pot scrubber. And let it dry completely before beginning your project. 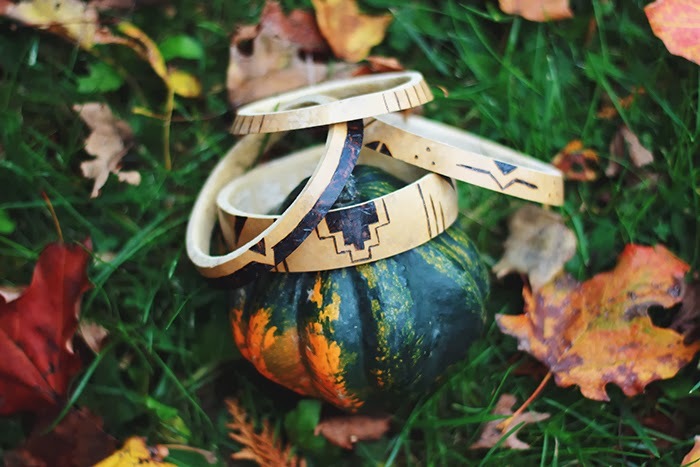 -Use a pencil and cups (that isn't too much wider than your wrist) or other bracelets to trace two lines around the outside of the gourd. -Cut off the end and remove the dried seeds and membrane. 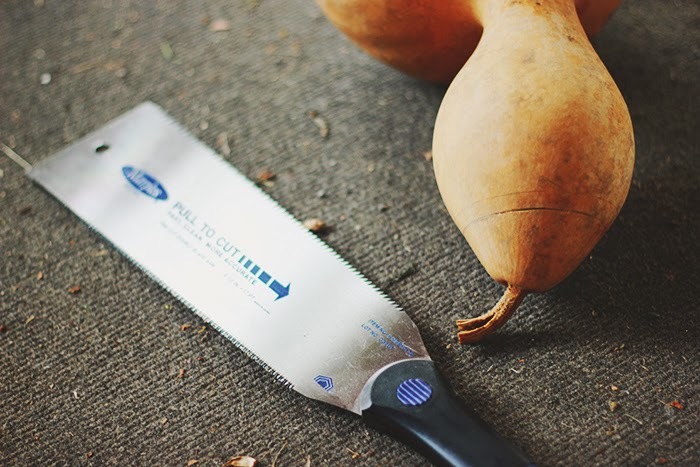 Make sure that you are wearing a mask during all of the cutting and sanding processes, gourd dust can irritate the respiratory system. 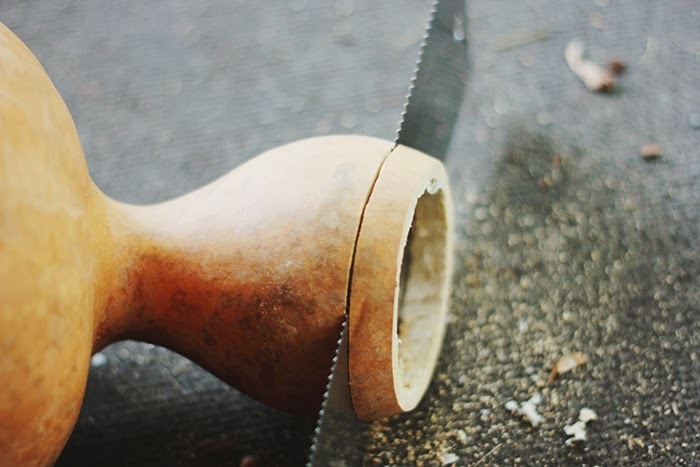 -Cut following the second line that you have drawn on and you will have a rough bracelet shaped gourd. You can continue to cut a few more bracelets out by tracing more cups or just eyeing it. 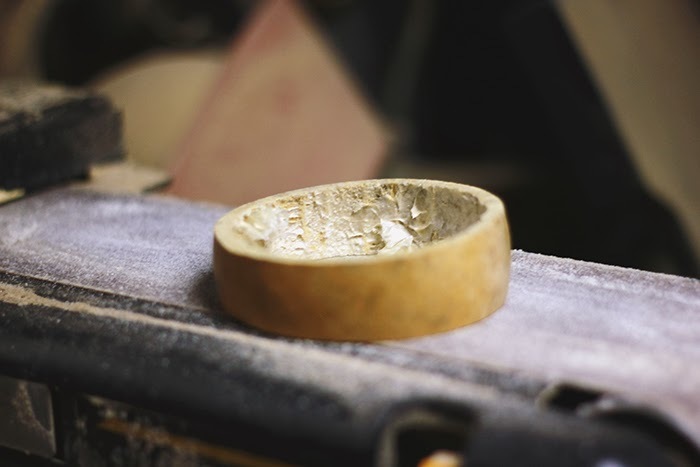 -Using a belt sander, make the sides of your bracelet even and smooth. 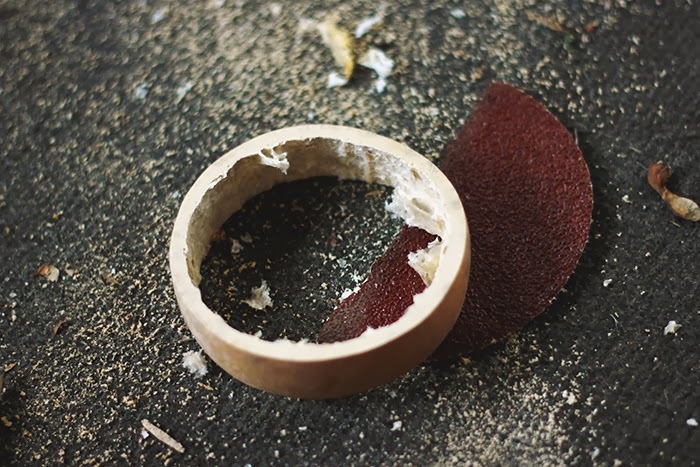 -Using course sandpaper, remove any left over membrane from the inside of the bracelet and round the edges of the inside of the bracelet. 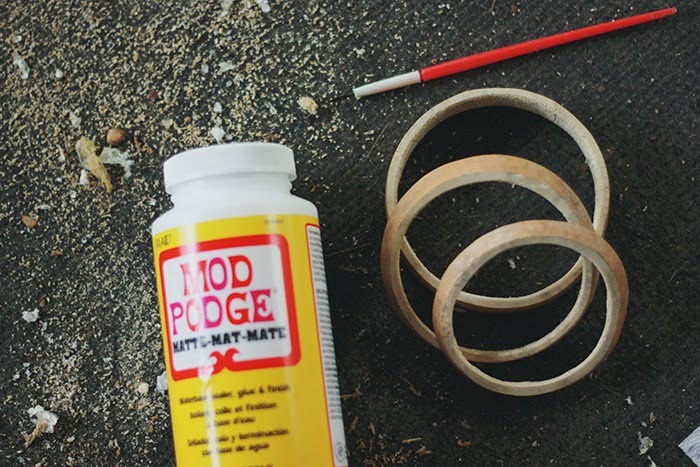 -Use Modpodge to coat the inside of the bracelet. You will probably need a few coats. 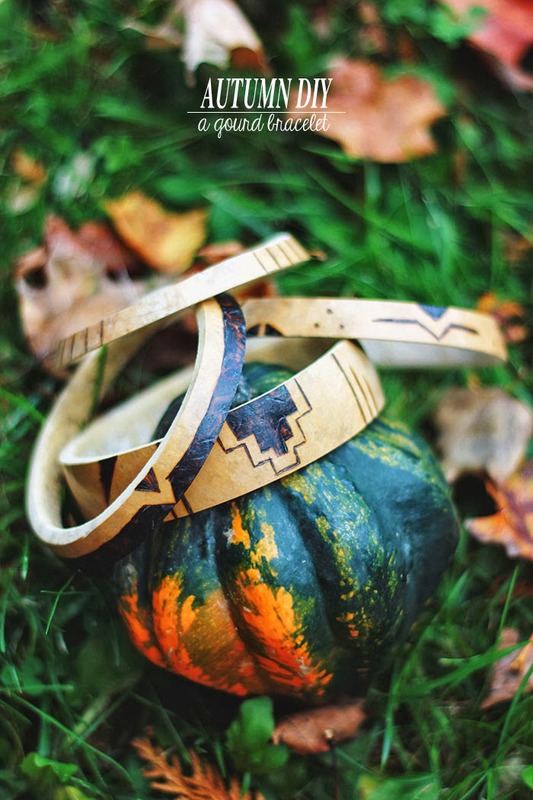 -Sketch out some designs on your bracelets and use the wood burner to trace over them. 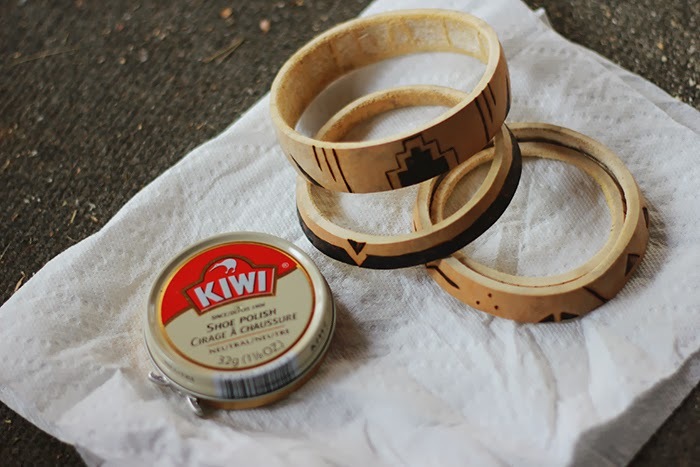 -Use shoe polish to cover over the outside of your bracelet. Follow the directions according to the brand you buy. Hope you're enjoying all of the loveliness that autumn has to offer! 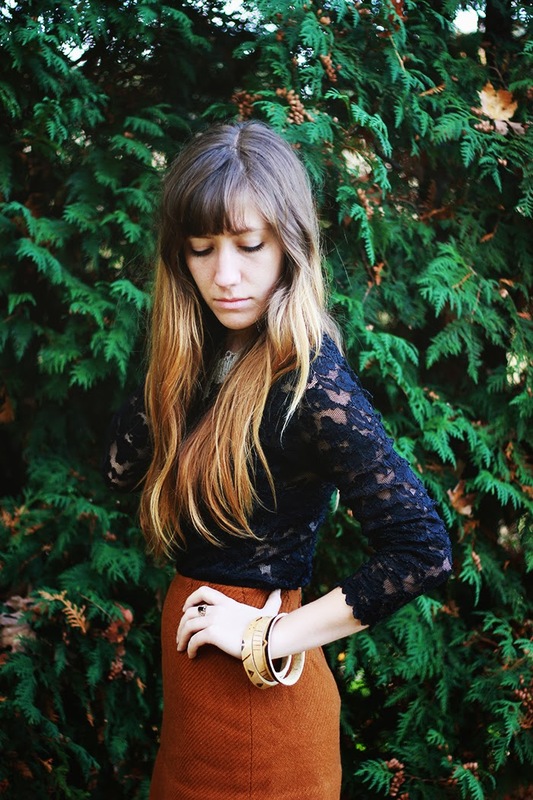 Caitlin is one of the three minds behind The Merrythought. There they share with you yummy recipes, inspiring DIY projects, stylish clothes, lovely homes, pretty parties, and bits of their family life.